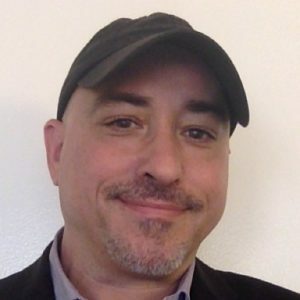 In this latest PV Magazine op-ed, solar marketing master Solar Fred talks about how solar businesses’ descriptions of themseves matters, and why solar is one of the best brands out there. The solar industry’s brand is very strong, with huge bipartisan public support, so when I see solar installers and manufacturers referring to themselves as simply “energy companies,” the industry is unintentionally diminishing its brand. While I don’t believe solar companies are trying to hide their solar roots, I’d like to offer four reasons why industry marketers and communicators should elevate the word “solar” in our company brands and communications as much as possible. Read more here. 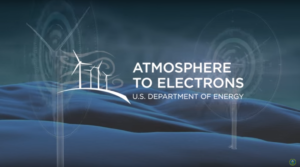 While the final version of the Energy Department’s overdue study on the electricity system is more restrained than many of the Trump Administration’s talking points, it still relies on outdated assumptions about the U.S. power system. This entry was posted in NewsBlog and tagged Nebraskans for Solar, renewable energy news, storage news on August 25, 2017 by Helen Deffenbacher. The U.S. Department of Energy’s National Renewable Energy Laboratory (NREL) and Clean Energy Group (CEG) have released the first comprehensive public analysis detailing the potential size of the commercial behind-the-meter battery storage market in the United States. NREL analyzed over 10,000 utility tariffs in 48 states, finding that more than five million of the 18 million commercial customers across the country may be able to cost-effectively reduce their utility bills with battery storage technologies. These findings, grouped by utility service territory and state and illustrated in a series of maps and tables, are presented in NREL and CEG’s white paper, Identifying Potential Markets for Behind-the-Meter Battery Energy Storage: A Survey of U.S. Demand Charges. The analysis determined that economic opportunities for storage exist not only in first-mover states like California and New York, but also across the Midwest, Mid-Atlantic, and Southeast. For example, tens of thousands of commercial customers in Georgia, Alabama, Kentucky, Michigan and Ohio may be subject to utility tariffs with sufficiently high demand charges to make storage a viable economic investment. Anticipated future declines in battery storage costs would enlarge the market potential in these and other states. 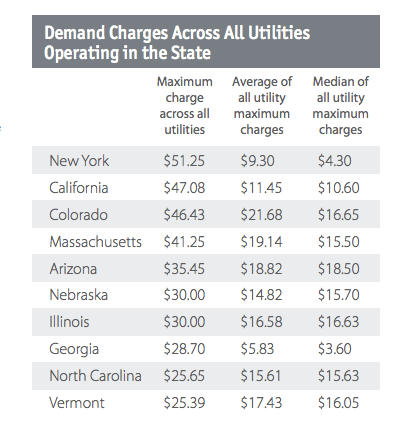 Nearly all medium to large commercial customers in every state are subject to utility demand charges, yet customers often do not understand how these charges are structured or accounted for. For more information about demand charges, see the accompanying fact sheet. 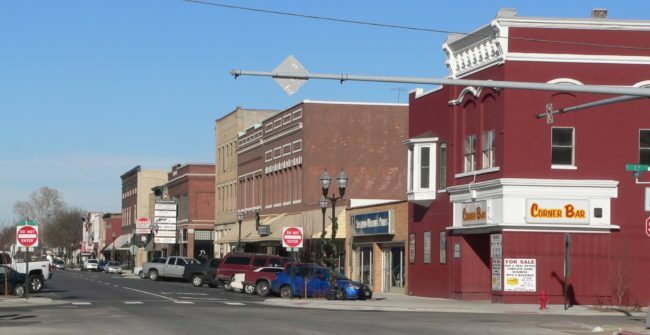 The charges affect private and nonprofit businesses, as well as a wide array of additional customers, including community facilities, public buildings, and multifamily housing properties. In many cases, these demand charges can comprise anywhere from 30 to 70 percent of a customer’s utility bill. This entry was posted in Nebraska / Midwest News, NewsBlog, Research and tagged Clean Energy Group, National Renewable Energy Laboratory (NREL), states' economic potential for commercial behind-the-meter battery storage market, utilities' demand charges, utilities' high demand charges making storage a viable economic investment on August 24, 2017 by Helen Deffenbacher. Leading clean energy organizations have announced their participation in the first annual National Clean Energy Week, which will take place from September 25-29, 2017. National Clean Energy Week will bring together industry associations, businesses, non-profits, and advocates in the clean energy space for activities in Washington, D.C. and across America to showcase how they are helping to make the industry stronger, and influence the discussion around common sense clean energy solutions that directly address America’s need for abundant, reliable forms of energy. Highlight your organization’s work by becoming a National Clean Energy Week Partner. Signing up is easy and involves hosting an event or promoting National Clean Energy Week through a preexisting or new program in your home state or city in September. Learn more about clean energy and help spread the word to elected officials in Washington and your state capital via email, letters to editors and social media to raise awareness of the benefits of, and need for, clean energy. This entry was posted in NewsBlog and tagged National Clean Energy Week, Nebraskans for Solar on August 22, 2017 by Helen Deffenbacher. Will the U.S. Ever Build Another Big Coal Plant? “There are two big risks for coal generation right now. One is gas prices stuck at low levels for a long time. 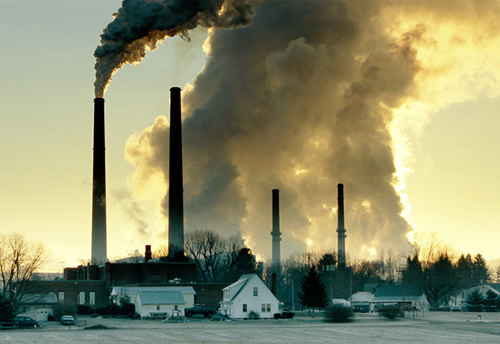 Second, developers take on a lot of environmental risk in the future,” said Travis Miller, who directs utilities research at Morningstar Inc. “So environmental risk might not be a risk for four years, obviously referring to the presidential administration, or eight years. “But when you’re building 30- to 50-year-type assets,” he added, “they’re certainly a high risk for carbon.” Read more here. This entry was posted in NewsBlog and tagged Morningstar Inc, Nebraskans for Solar, renewable energy news, risks for coal generation on August 22, 2017 by Helen Deffenbacher. By Craig Duff, a Chicago-based video journalist whose work has appeared on The New York Times, NBC News and MSNBC. 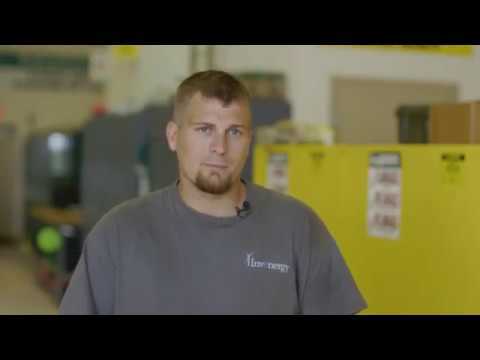 This video explores how evolving grid technology, as well as new and existing state policies, have contributed to clean energy job growth in Illinois. Lakeville school board debating solar garden plan that could save millions. Twin Cities Pioneer Press. Lakeville is the latest Twin Cities school district to consider using solar power to save money. School board members are debating whether to join a nearby solar garden that could save the district $3 million to $10 million on electricity over the next 25 years. On hard-to-use brownfields, property owners see a new option shining down on them, Star Tribune. Solar arrays can make productive use of land where buildings aren’t allowed. Largest U.S. Bank to Rely 100% on Renewable Energy, Environment News Service. JPMorgan Chase has announced it will source renewable power for 100 percent of its global energy needs by 2020. The firm has offices and operations in more than 60 countries across 5,500 properties, covering 75 million square feet. JPMorgan Chase also is making a commitment to facilitate US$200 billion in clean financing by 2025, the largest commitment to date by a global financial institution. This entry was posted in Nebraska / Midwest News, NewsBlog and tagged 100% renewable-powered cities and towns, brownfields as solar sites, clean energy jobs growth, corporations going solar, Electric Vehicles, how the smart grid is creating jobs, renewables integration research, schools subscribing to local solar gardens, smart grids, smart meters on August 18, 2017 by Helen Deffenbacher. MSU is covering parking spaces (5000 of them) with solar panels to provide shade, reduce emissions, and save money. Pictured is about 10% of the project during early construction in June. 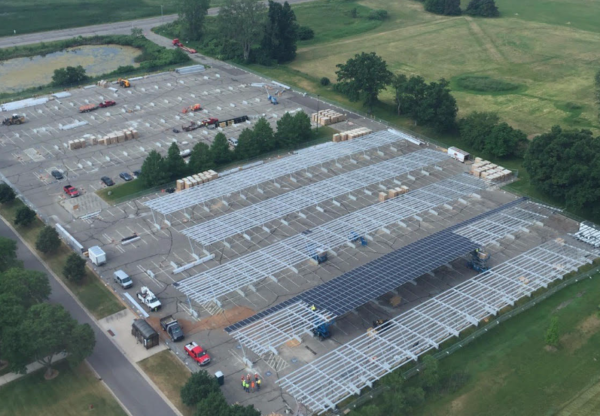 This entry was posted in Green Campuses, Nebraska / Midwest News, NewsBlog and tagged Michigan Radio, Michigan State University, solar canopies on parking lots, universities & colleges installing solar on August 18, 2017 by Helen Deffenbacher.